Synopsis: The body of a Texas Ranger working undercover in Mexico as a member of a drug cartel is found dead on the beach unleashing a massive air and water response from the United States Government in an apparent attempt to cut off drug smuggling from Mexico along the watery Gulf of Mexico border. Jimmy Redstone, an aging Texas Ranger, is on South Padre Island rehabbing a shoulder that had taken a bullet from a partner. Had he not been shot there is a high likelihood he would have been tried for the murder of a notorious outlaw. Redstone is pressured into unofficially investigating, as a civilian, the murder of his fellow Ranger. Angella Martinez, a young rookie policewoman, draws the assignment of staying close to Redstone. When Ensign Markus Cruses, the local Coast Guard Chief, and son of Redstone's former partner, lands in the hospital in a coma after trying to give Redstone information he uncovered pertaining to the murder, Redstone begins to believe that more is going on than simple drug smuggling. Cruses fiancé, Trich Santiago, a Mexican National and the daughter of the drug cartel head, unknowingly holds the key to what is going on. As Redstone and Angella continue their investigation it becomes clear that activities far more dangerous than drugs are involved, activities that could undermine the very essence of American life should they come to fruition. 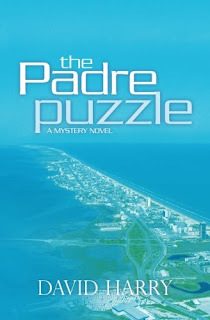 I’m not used to reading books from a male perspective, but I really enjoyed The Padre Puzzle. Jimmy was a very real, well-developed character. He’s a cop through-and-through - sharp senses, good instincts, and a natural curiosity. I thought the setting for the book was great. I’d actually never even heard of South Padre Island; without overdoing the details, the author gave a description that allowed me to picture it all clearly. The concept for the book was very original and interesting, and had enough twists and turns to keep you guessing. I loved that the author also threw in lots of action and some amusing anecdotes to lighten the mood, and that Jimmy had a good sense of humour. The cliffhanger ending was very exciting, and I when I finished reading, I was glad the author was kind enough to send me the second book so I don’t have to wait long to find out what happens! The next book definitely has a lot of potential as far as the mystery goes, and as a romance junkie, I’m curious to see what will happen between Jimmy and Angella. 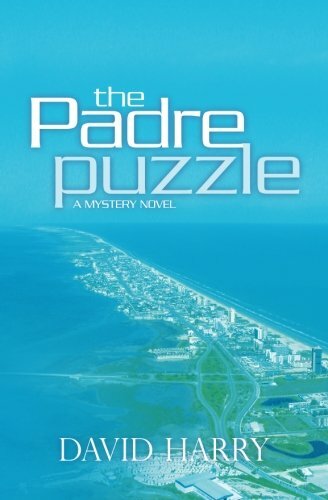 Overall, I really enjoyed The Padre Puzzle. I’d recommend it to mystery and police drama fans, both male and female. I’ve recommended it to my mum, and I’m also going to keep this book in mind if I ever need a present for a guy who enjoys reading! Thank you so much for your kind review Marie!